WARREN, Michigan – General Motors has fired fifteen employees, many of them senior executives, as it tries in earnest to change its culture to prevent safety defects like the recently recalled ignition switches from going unaddressed. 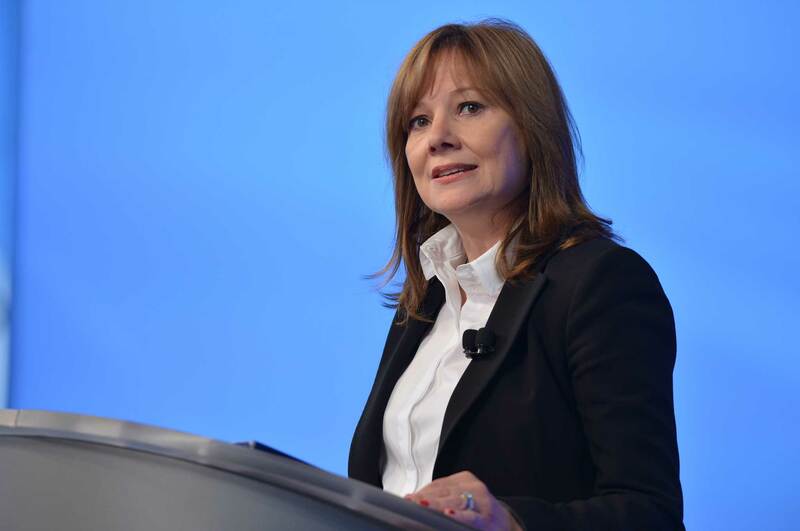 CEO Mary Barra told 220,000 global employees in a televised Town Hall meeting that former U.S. prosecutor Anthony Valukas’ “extremely thorough, brutally tough and deeply troubling” report on this improperly handled safety issue has resulted in company policy revisions, and will continue to affect changes in the company’s engineering processes. This internal investigation, led by Valukas over the past few months, was conducted with complete independence and reviewed 41 million documents in addition to conducting 350 interviews with current and former GM employees. This report supplements the investigation conducted by the National Highway Traffic Safety Administration (NHTSA), and is available on the NHTSA website. Barra called the report “extremely thorough, brutally tough, and deeply troubling.” She said that, in this instance, General Motors failed at its job to build high-quality, safe vehicles, and also failed its customers. “What the Valukas investigation uncovered…is a pattern of incompetence and neglect,” Barra said. “Repeatedly, individuals failed to disclose critical pieces of information that could have fundamentally changed the lives of those impacted by a faulty ignition switch.” Barra made sure to clarify that this was not a cover-up by the corporation, but rather a more complex pattern of management deficiencies and misjudgments based on incomplete data. In other words, the problem was misdiagnosed from the beginning. GM product chief Mark Reuss said in a press conference that the ignition switch moving into the “off” position was first detected at the initial press drive of the Chevrolet Cobalt. However, this issue was initially treated as a customer satisfaction issue rather than as a safety defect. GM employees failed to realize that the airbags would not fire if the ignition was in the “off” position, which meant that the defect was not brought into the company’s safety recall process as it should have been. Other problems with GM processes meant that this defect continued, such as an instance of changing the ignition switch part without changing the part number. Fifteen GM employees have been fired as a result of their “inappropriate” actions (or failure to act) throughout this process, and five additional employees will receive disciplinary measures. According to Barra, more than half of these employees were in executive roles or higher. The list of the 15 employees no longer with the company includes two employees previously put on forced leave from GM, Ray DeGiorgio and Gary Altman. Barra said that Valukas’ report made a series of specific recommendations to the company so that a situation like this will not happen again. Some steps have already been taken, such as the appointment of Jeff Boyer as the global vice president of safety, the implementation of a new “Speak Up for Safety” program, a new global product integrity organization, and a restructuring of the safety decision making process that puts senior management at the center of these issues. Other changes will continue to take place as quickly as possible, such as a more aggressive approach on all recalls which we have already begun to see this year with recent large-scale recalls of GM cars. Barra also confirmed that 113,000 ignition switch recall repairs have been completed, and 280,000 repair kits have been shipped to dealers. She said that the company is on schedule to complete all 2.2 million repairs by October as previously stated. GM has hired attorney Kenneth Feinberg to head up the company’s compensation policy. Feinberg is currently determining the criteria for which victims will be compensated and how much compensation each will receive. GM president Dan Ammann confirmed that Feinberg will independently determine how much money GM will spend on this compensation program. The current number of fatalities connected with this defect is still 13, according to GM. This number could change, though, as Feinberg works to determine how exactly the defect played a role in various accidents that resulted in fatalities and serious injuries. The current criteria focuses around the fact that airbags failed to deploy if the ignition switch was in the “off” position, but it’s possible that the lack of power steering assist in the ignition “off” position could have also played a role in many of these crashes. We’ll see how Feinberg’s own investigation treats this issue as he releases more information about the compensation program in the next few weeks. The full details of Valukas’ report are available at NHTSA.gov, so stay tuned to hear more about how GM will move forward from this ignition switch crisis.